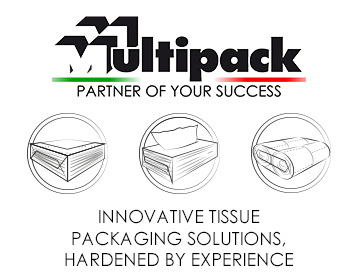 The nearly century-old paper mill in Manistique manufactures 100% recycled paper products found in Amazon boxes, but also paper for grocery bags, take-out style bags, and wrapping paper. Thanks to commitments from private investors and the state, the company is thriving as it prepares to enter its second century of operation. The mill opened as Manistique Paper in 1920. 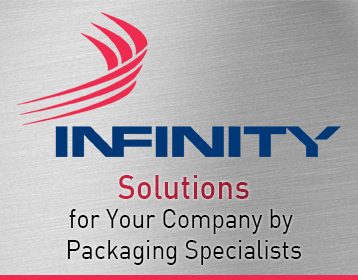 Over the decades the company was a significant employer in the area and an essential part of the business community. Unfortunately, a series of financial problems and difficulties forced the company to close its doors in 2015 after 95 years in business. Roughly one year later, the Zellar family and other investors stepped in to purchase it from mBank, which had previously helped keep the business afloat in 2012 with assistance from the Michigan Economic Development Corporation (MEDC). UP Paper President and CEO Lars Dannberg recalled, “I came in here in 2015, and I was selling used equipment at the time and consulting for financial people. I found some money from local people, and we started up in the spring of 2016. We had a tough time at the beginning, and now we’re doing great.” In November 2018, the MEDC announced an award of $1.9 million in collateral that will support UP Paper’s working capital line. The money could allow the mill to access $4.25 million in a working capital line of credit. UP Paper has boosted the local job market as well. Since reopening, UP Paper has hired 97 employees. Current plans call for four new full-time employees in the next half a year and at least another four in the two years that follow. Barr said the quality jobs the mill offers have a cascading effect on Manistique and the UP as a whole. “One of the things people noticed when the mill closed was that truck stops at the end of the state started to lose business,” he recounted. “There was a decrease in business in the Marinette, Wisconsin, Menominee and St. Ignace truck stops.” Barr said UP Paper’s stability helps bring a sense of stability to the area, raising the spirit of Manistique. “For the better part of a century, when steam has risen up from that mill you knew paper was being made, which means money is being made and jobs sustained,” he concluded. “It would have really harmed our local economy if that mill had stayed closed. 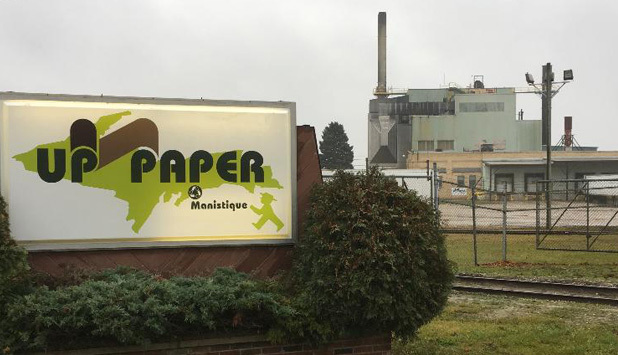 It’s so exciting to have it open and to know that they’re providing paper to national companies like Amazon.” Thanks to UP Paper, the historic mill remains an economic driver in the area, and a key contributor to Manistique’s vitality.